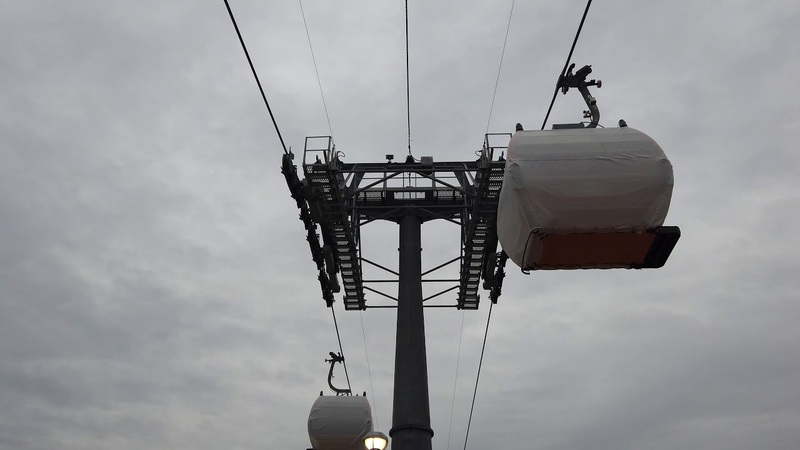 29 days ago in "Disney Skyliner"
Testing of the Disney Skyliner gondola system is continuing between Disney's Hollywood Studios and Disney's Caribbean Beach Resort. The weather during yesterday's tests runs was poor, with continual rainfall. Among the gondolas cycling this week is an uncovered finished guest cabin, although not one with Disney graphics. At the station, work is nearly complete, with some of the final details now being added to the exterior. Play the video below for a further look at the testing.